Although allergies are not considered as a catastrophic condition, it is estimated to affect millions of people all over the world every year. It now becomes increasingly popular and common in almost all parts of the globe. Some types are not very hard to cure with home remedies for allergies, but for some, all you can do is to turn to your doctor as soon as possible. Allergies is caused by the hypersensitivity of one’s immune system to something in the environment. Therefore, a number of tiring experiences may happen and thus interrupt their daily life. To be more specific, once the allergen enters the body, it triggers an antibody response leading to the eliciting of histamine from the cells. That’s how an allergy appears with its purpose of ruining your comfort. Because allergies are triggered by different causes and it varies greatly from one’s body to another, there are a large number of allergies ranging from slight, mild or even life-threating. What we call a type of allergy is often based on the factor that starts the antibody response. For example, those who drink a small amount of milk may after an hour or so are likely to get into trouble with vomiting and hives. In these case, they are caught up in a milk allergy. Some popular forms of common allergies consists of food allergy (including milk, egg, wheat, fish or peanut allergy), skin allergy (due to seasonal changes or cosmetics), insect sting allergy (especially bee stings), dust allergy, pet allergy (especially dog and cat), drug allergy, latex allergy, mold allergy, sinus allergy, cockroach allergy and allergic rhinitis. The symptoms of an allergy is not exactly the same as the others. Allergy symptoms depend on what it comes from, which means that the substances involved generate their own effects on the immune system. 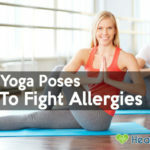 That’s why for different kinds of allergies, it is much better to take a closer look at its particular symptoms to prepare the best treatment, regardless of going to doctor or taking advantage of home remedies for allergies. However, the most normal signs that indicate that you are soon trapped in a terrible allergy can be included nasal congestion, itchy and watery eyes, sneezing, stuffy or running nose, scratchy or sore throat, cough, fatigue and lethargy, especially hives and itching. The best option for you when your body tells you that you are having an allergy is to visit your doctor and ask him or her for reliable advice. Although it is recommended, you don’t have to meet your doctor immediately with some slight or moderate ones. In such cases or especially when the distance from where you live to your doctor’s place is so far away, you absolutely can mitigate the disease or even whip it out of your body with some suggested home remedies below. Quercetin is originated from a natural plant whose substance is able to stabilize mast cells and ease the process of releasing histamine. So where can you find this precious substance? Some fruits such as lettuce, wine, tea, tomatoes and apples are very rich in quercetin but it is not a perfect treatment for those who are pregnant or nursing. 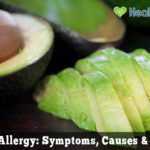 Allergy-fighting food names those which contains Omega-3s in them as according to some scientific research, these acids are brilliant in restricting inflammation and keeping airways clear. Cold-water fish, grass-fed meat and eggs or flaxseed oil is the top choices when it comes to allergy-fighting foods. Essential oils are extracted from various products that can be helpful in curbing allergic reactions. The use of essential oils can prevent you from having to go through embarrassing situations. 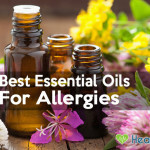 The most popular oils for allergies at this time is probably peppermint essential oil, eucalyptus essential oil and lemon essential oil. Local honey is an indispensable way to cure an allergy caused by pollen. Although at the moment there is no scientific material to prove that, it is quite effective according to word of mouth. 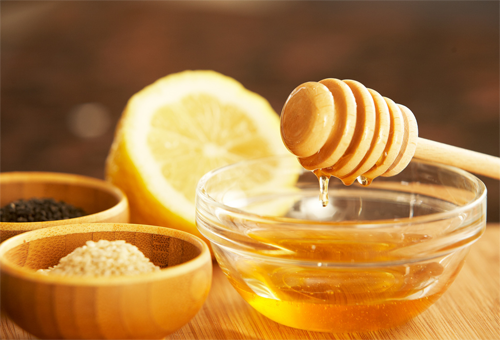 A small amount of local honey is able to keep you away from unpleasant impacts of pollen allergies. Triggers of an allergy may exist somewhere in a mild breeze. As you don’t see it, all you can do is to make the best of preventing allergens from approaching your home once again. Keep the inside atmosphere free of any kind of allergens to ensure your condition remain unaffected and to release nasal problems as well. A bunch of herbs and supplements including spirulina, eyebright and goldenseal are proved to have the ability to give a great relief. The plant extract butterbur is worth a try to cut down airway inflammation. Washing away allergens means that you are getting rid of even tiny particles on your clothes, shoes, hair or skin after a time being exposed to harmful sources. It is better if you take proper actions to remove what retains on your body from the outside, for example you can take a shower, put on new costumes or leaving your shoes at the front door. A mask is acting as a shell to cover your airways from some kinds of allergy causes especially when you are mowing, raking or vacuuming. You can purchase one immediately at almost all drugstores or medical supply stores. 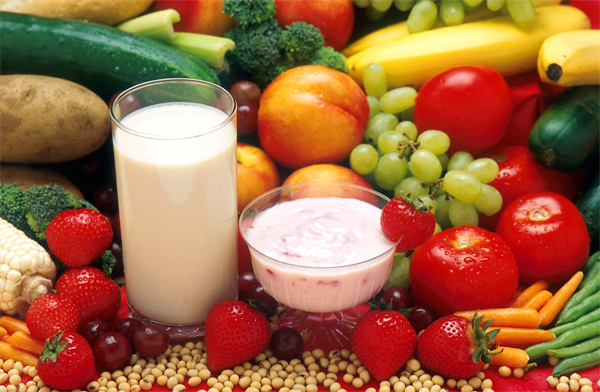 Trying to heal allergies with a healthy diet is not a bad idea. Once your immune system is enhanced, your body is like a high wall that cannot be collapsed. A diet which is high in fresh vegetables, nuts, and citrus fruits is ideal to prevent you from delving into a more serious condition of an allergy. A nasal rinse can move away bacteria, thin mucus and help decrease postnasal drip. It can be done easily with half of a salt teaspoon, a pinch of baking soda and sterilized water. It may sound a little bit nonsense but you can rest assured that it is useful to kill your allergy. Drinking extra water in case you are having troubles with nasal passages can release your allergic burden. It is recommended that you should prepare hot fluids for the best treatment. Cleaning safely is surely a way to prevent allergens from having a chance to attack your body. You should learn how to clean with ordinary household products like vinegar or baking soda. 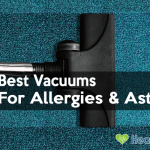 A vacuum cleaner which owns a HEPA filter to catch allergens is worth a try. Breathing steam is an easy thing to do to deal with nasal congestion in case you are facing this symptom of a certain kind of allergy. All you are supposed to do is to sit in the bathroom having a hot shower running and enjoy the steam or use a humidifier. 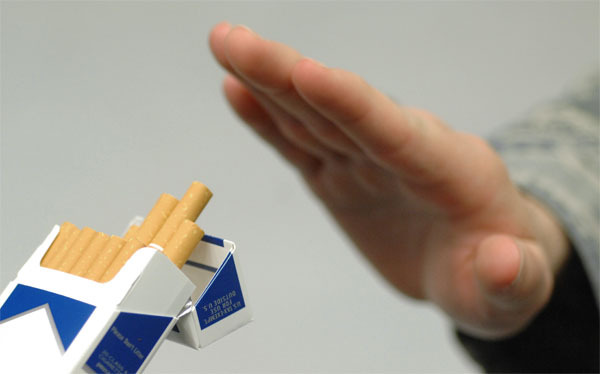 Cigarette smoke can worsen some allergy’s indicators such as itchy, stuffy nose and watery eyes. Try not to breathe it and go to any places related to this detrimental ingredient. Other fumes such as aerosol sprays or smoke from wood-burning fireplaces are also something to avoid if you don’t want your allergy to become chronic. An effective way to remove triggers from the air is to use air purifiers. It is absolutely simple but the question is how you can find out the triggers of your allergy. Some people even don’t know what contributes to their irritating condition. It is until you recognize the causes that you are ready to remove it. 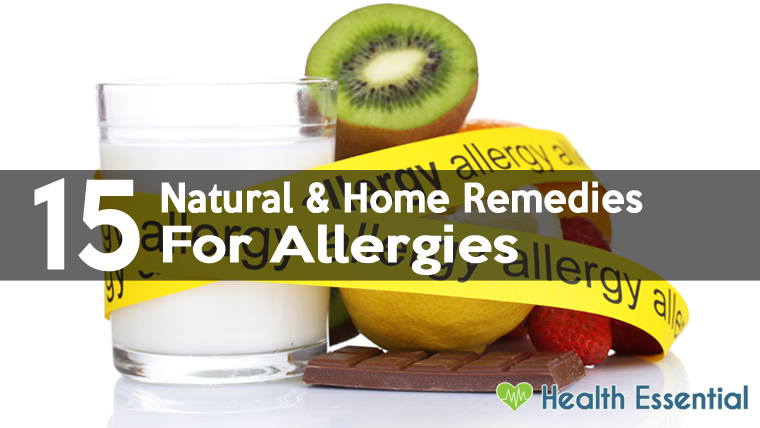 All the above home remedies for allergies are some useful tips to help your deal with some types of allergies. It is recommended that you should know some which are available for you to do at home in case the worst scenario may happen. And one more thing to keep in mind is that if you realize that you cannot control it anymore, it is time to see your doctor without hesitation.